Not really much sewing, but at least I've got to the end of unsewing the yellow hexi top and am happy with the new layout. 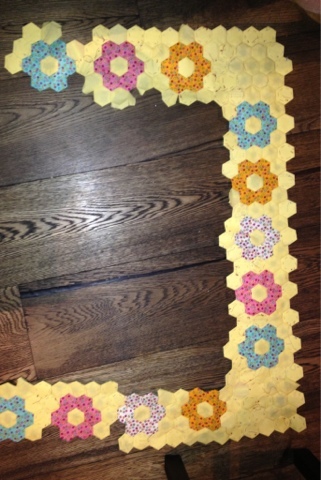 There is a great big hole waiting for a whole lot of yellow hexies!!!!! You've been busy in my absence (and the week and a half it's taken me to get to 'S' *ahem*) WTG!